Disaster relief for people and pets. Saving lives when disaster strikes; of both people and pets alike. 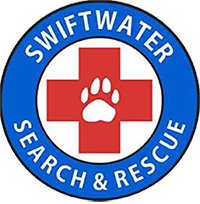 Whether it be in the form of search and rescue extraction, transporting supplies or cleaning and bandaging injured pets – wherever we can have the most impact is where you will find us. Our M.O. is maximum efficacy with full transparency. Being a nonprofit we want to ensure that all those who support our cause know precisely where their donations are going. Therefore, all fundraising and subsequent expenses will be posted directly to our site so that anyone can see where every dollar that comes in is being applied. 100% of all donations will be spent on search and rescue efforts/equipment or disaster relief supplies. All of our volunteers’ time and personal resources which are utilized are paid for out of our own pockets. During our time in Houston we learned a lot about where the greatest needs exist during and immediately following disasters that involve flooding – equipment and crews that are capable of safely accessing and effectively locating and evacuating people from deep waters with very fast currents. Incredible, kind hearted people turn out in droves to help when these disasters unfold (which is an inspiring thing in-and-of itself) and their efforts are essential is saving countless lives. Most civilians lack the training and specialized equipment required to get to the more dangerous areas where many of the most urgent rescues are needed. That’s where we come in. Being that we are all pet lovers we decided that we would also never differentiate with regards to who we are attempting to rescue – whether they have two legs or four. We recognize the bond that exists between people and pets and to us saving the life of a families pet can be just as impactful as saving the life of a human. Our goal is to save as many of both, people and pets, as we are capable of doing. Providing essential supplies to victims in the wake of a disaster can literally be the difference between life and death. Using our personal vehicles (if you have a large truck we could always use your support) we fill them to the brim with as many of the essentials as is possible. We then transport them to the front lines of the flooding/disaster zone to ensure they get into the hands of those who need them most urgently. *Please note that we will not be collecting clothing or blankets. Due to the nature of search and rescue and disaster relief there is some inherent unpredictability. Priorities can change quickly and the manpower and resources we provide may be most urgently needed doing something we never anticipated. As a result we often have to improvise and remain flexible to best tackle the situation at hand. Whether it be bandaging an injured dog, moving downed trees, assisting local authorities or setting up makeshift shelters at a local church – wherever we can have the greatest impact is where you will find us.